In modern days, there is a lot of trend of installing carpet in your homes. This is not only because of the decoration purpose but also to make homes and workplaces look fine and tidy. 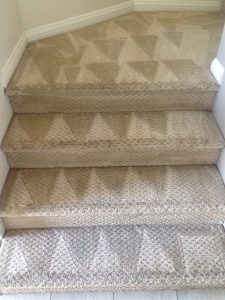 Another reason for the vast usage of carpet is that they look much better than simple flooring. In addition, carpet is much softer and comfortable for use. Nevertheless, there is a major drawback of using carpet in your home. It attracts more dust and dirt from foot traffic rather than the common wood and tile. The reason for this drawback is the frequent use because most of the time installation of carpets is in the high foot traffic areas. Not only foot traffic, carpet also suffers pet accidents, children’s spill accidents etc. There is always a possibility of visible stains on the surface of carpet. To counter these issues you must schedule a periodical carpet cleaning service in Newport Beach. Many carpet cleaning services provide same old type of carpet cleaning services. This includes just washing, vacuuming and drying. But in modern days carpets are made up of different materials. So not all carpets get complete cleaning by normal cleaning services. In addition, basic and cheap cleaning products could ruin your carpet and leave sticky residue. This is the reason we provide advance level carpet cleaning services. Our package includes deodorizing, sanitizing, washing, vacuuming, quick drying and application of different useful products to protect carpet fibers. The main reason of advance carpet cleaning services around Newport Beach is that we care about the valuable items. We respect the investment of our clients in our services to we give our best to earn their respect and satisfaction.The methods we adopt are the most professional methods of carpet cleaning in modern days. We use best cleaning products and best available equipment for this procedure. 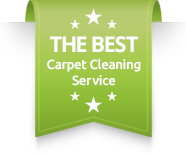 That is why we are able to provide most efficient and reliable carpet cleaning in whole Newport Beach. Moreover, our top of the line cleaning products applied also to your upholstery cleaning, rug cleaning and air duct cleaning needs all around Orange County.